Here at Premier Air Duct Cleaning of Colorado Springs we offer a great and affordable solution for allergy sufferers. We offer the air duct cleaning which we will use to blast away dust, dirt and debris from your circulating air duct system with high pressure air. All the dust is vacuumed away safely out to our powerful truck mounted system to ensure no particles are blown back into the home. Our state-of-the-art forced air cleaning technology restores heating and air conditioning systems to superior cleanliness with minimal disruptive impact on your home. The system is very effective while maintaining a high level of cost effectiveness which I pass on to you, the customer. Don’t forget to check out our Frequently Asked Questions section below for some great information. 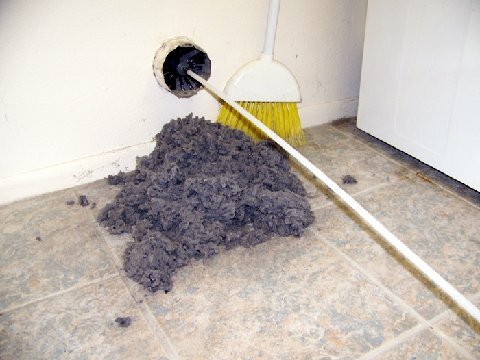 You should always clean the ducts first followed by the carpets. The main reason for this is that I have to be able to access all of your registers to clean the ducts properly. If the carpets are wet at the time it increases the potential for a mishap. Donâ€™t forget to ask about our great discounts if you have the carpets and ducts cleaned on the same visit. I can perform a cleaning of the cold intake side of your furnace. However when it comes to cleaning your plenum and performing repair or servicing of your furnace, we recommend only using a licensed HVAC repair person. We have some great people we can recommend that we have worked with for years. So please ask if you are looking for a good referral. Lint that accumulates in dryers contributes to a third of the approximate 3000 dryer fires reported each year, according to the US Fire Administration. Hot air builds up in the vent when lint blocks airflow, and in some cases the air is hot enough to ignite the lint.